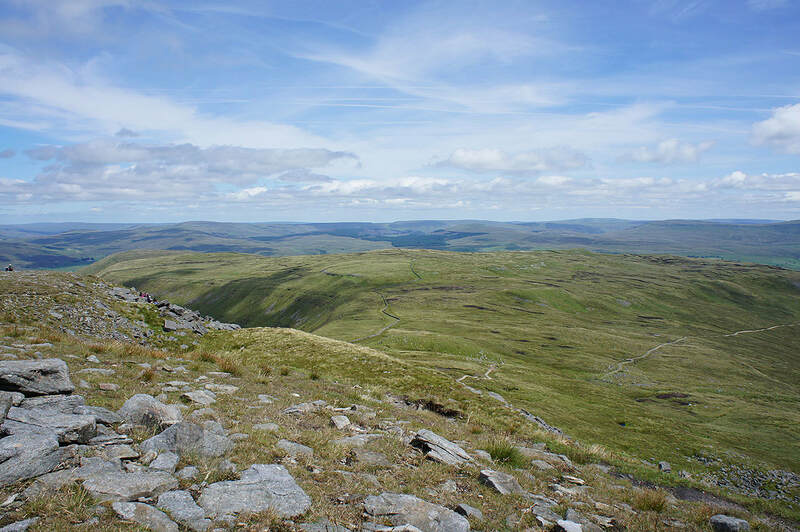 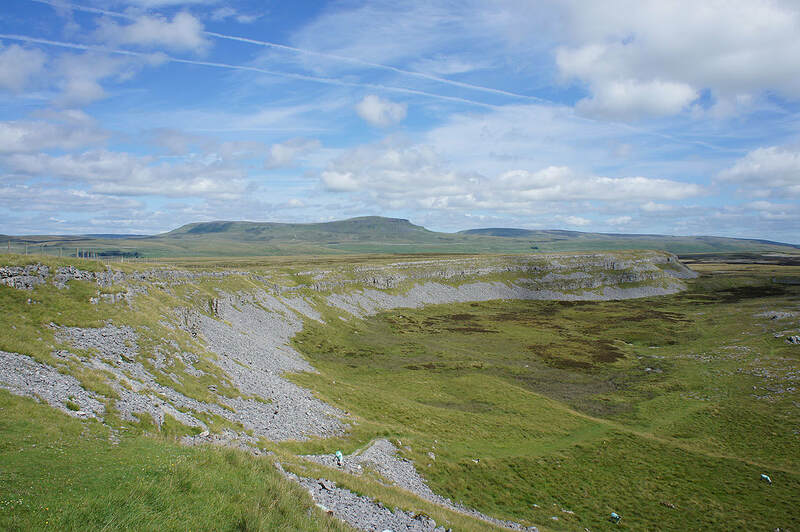 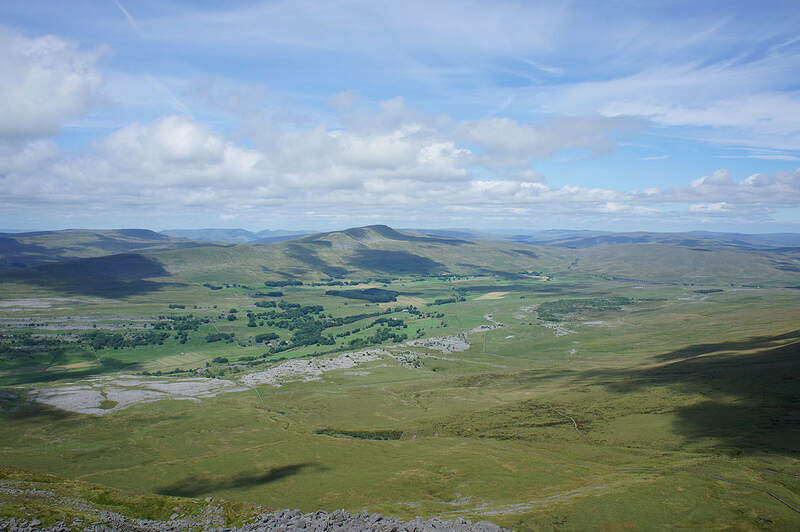 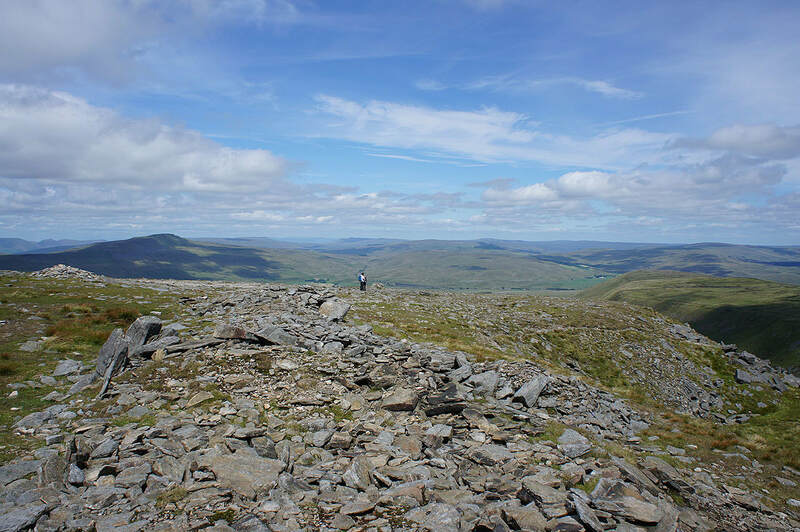 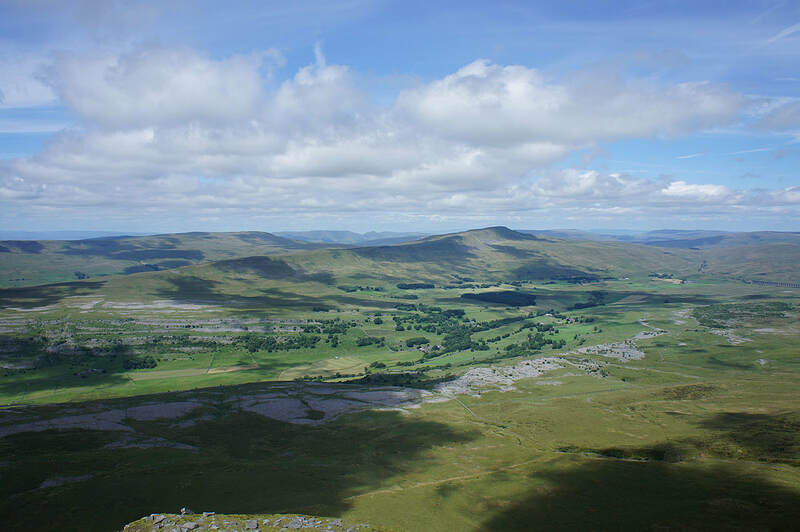 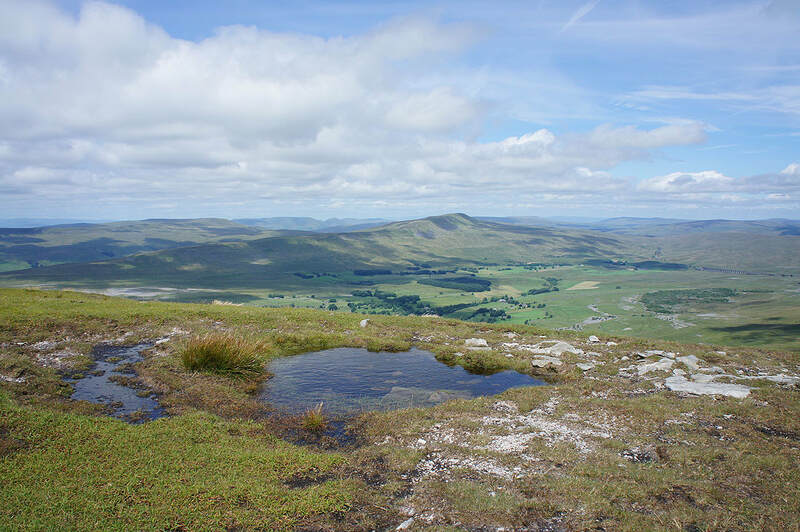 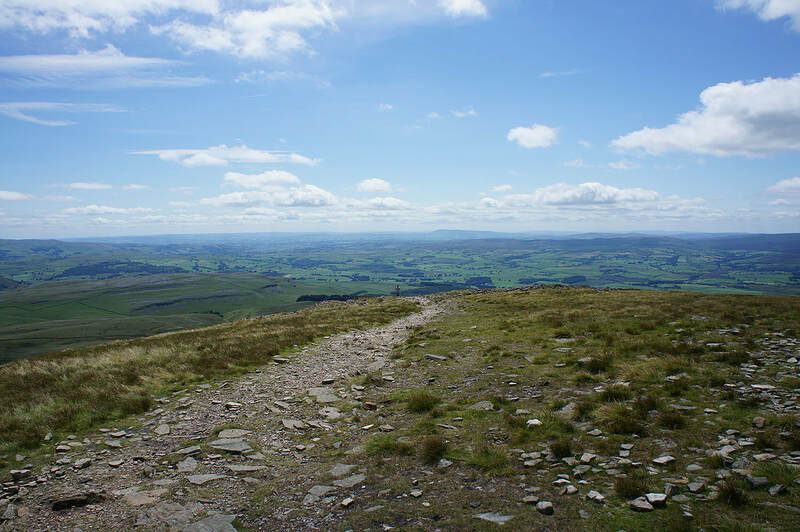 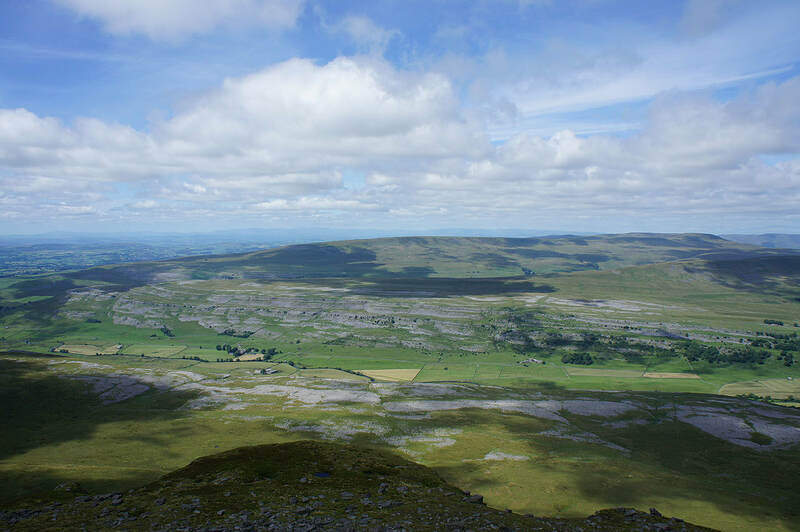 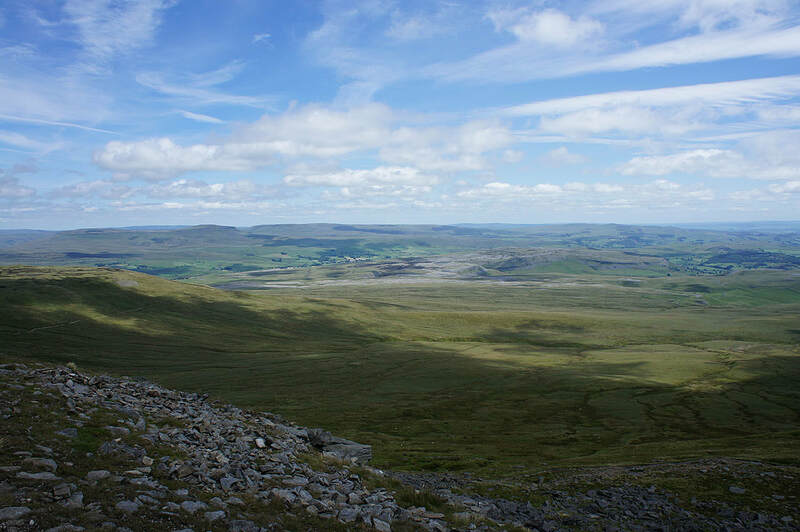 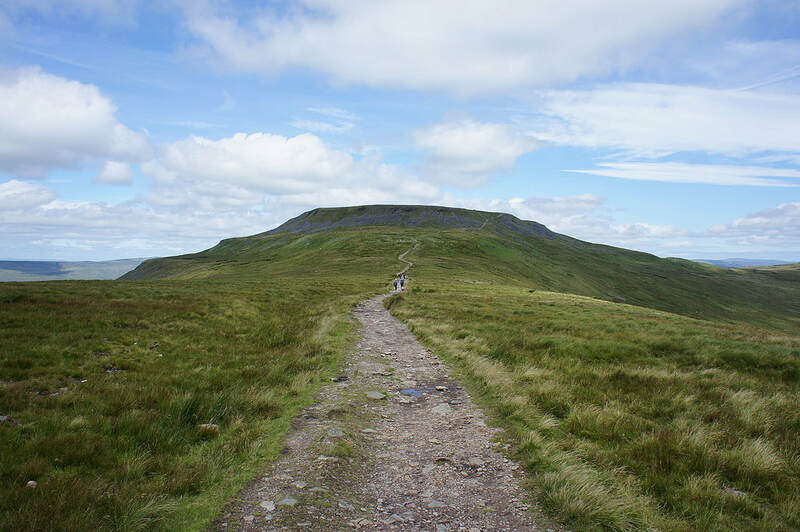 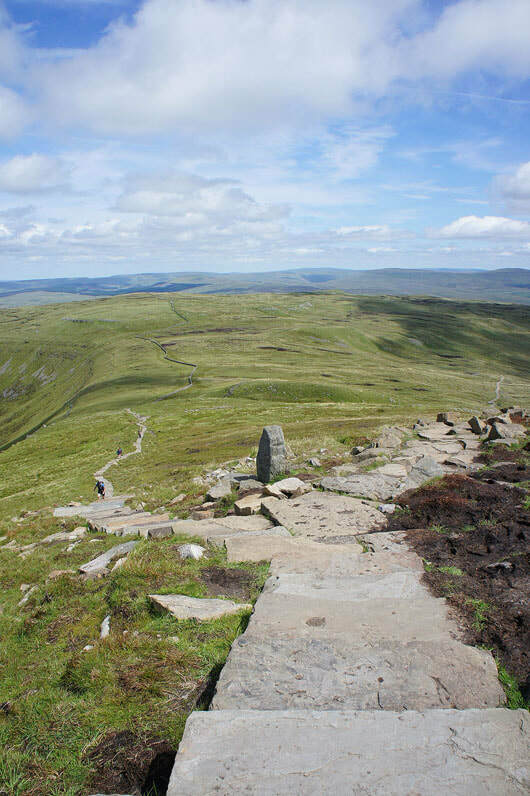 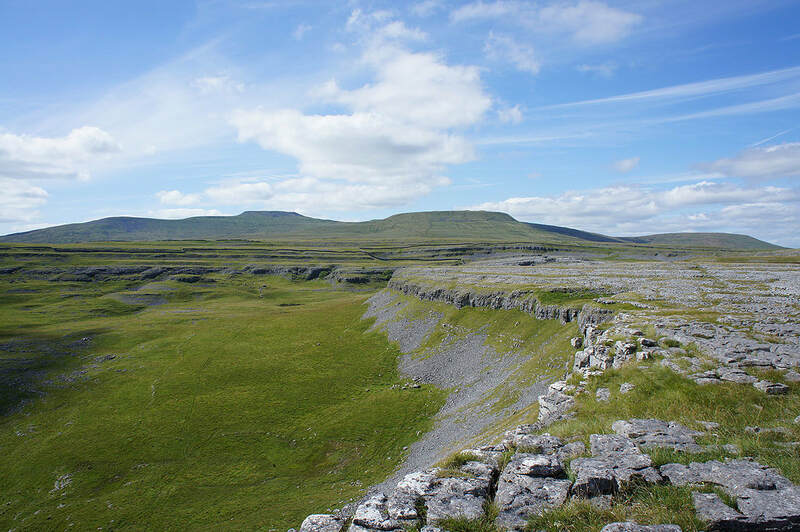 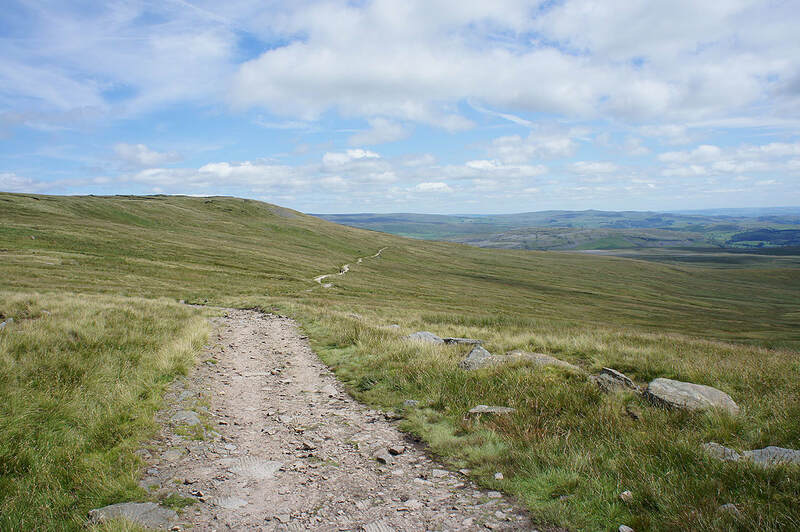 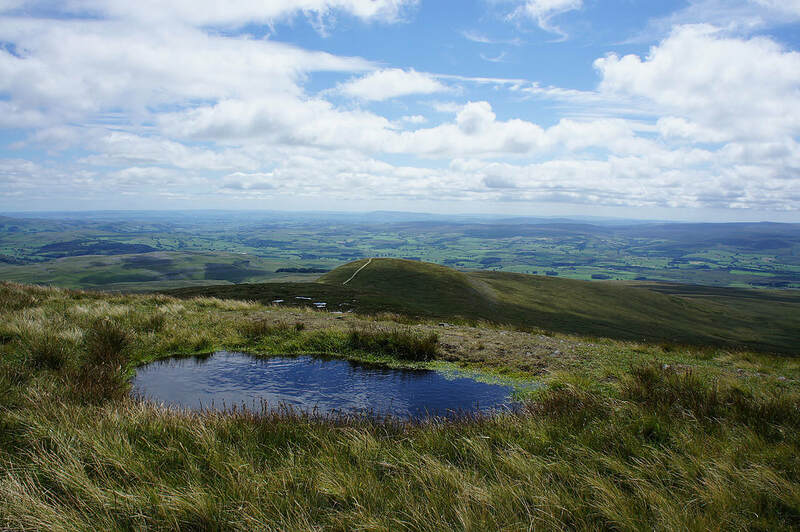 After doing Whernside last weekend a lack of imagination resulted in me deciding to do Ingleborough this weekend. 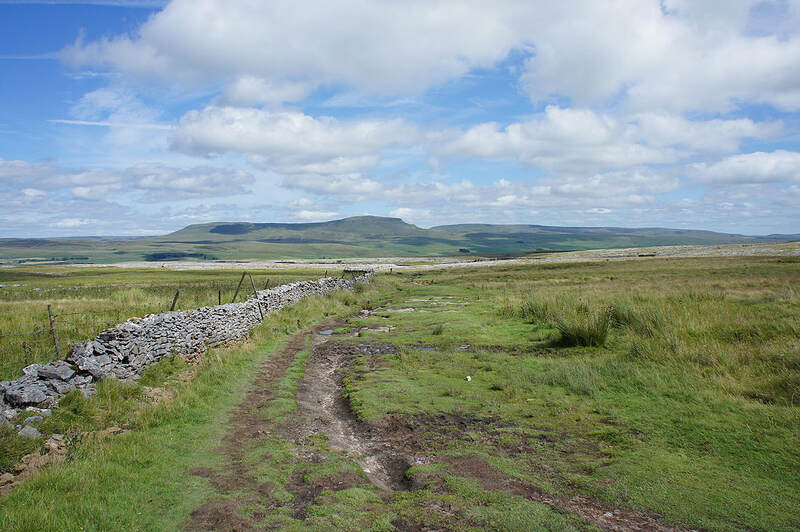 I did try starting from somewhere new though, Austwick. 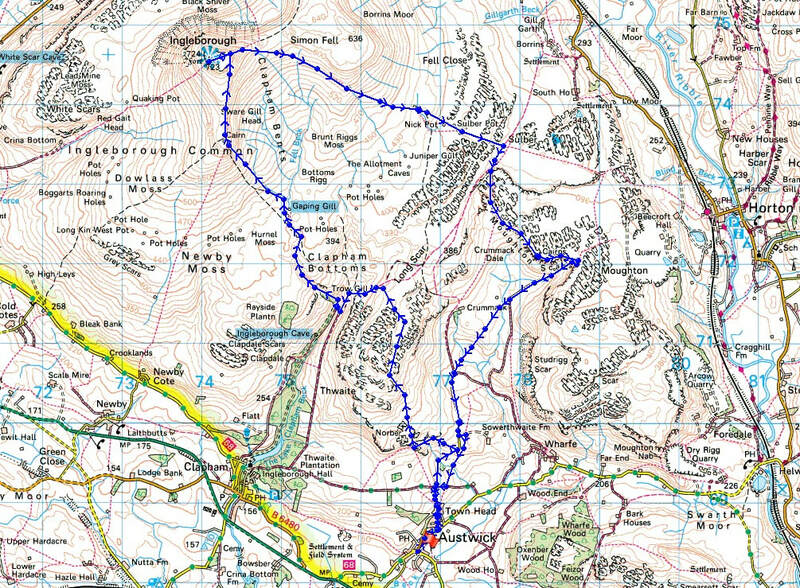 Starting from here meant that I could work out a route that would take in the Norber erratics, Moughton Scars and Crummack Dale as well as the summit of Ingleborough. 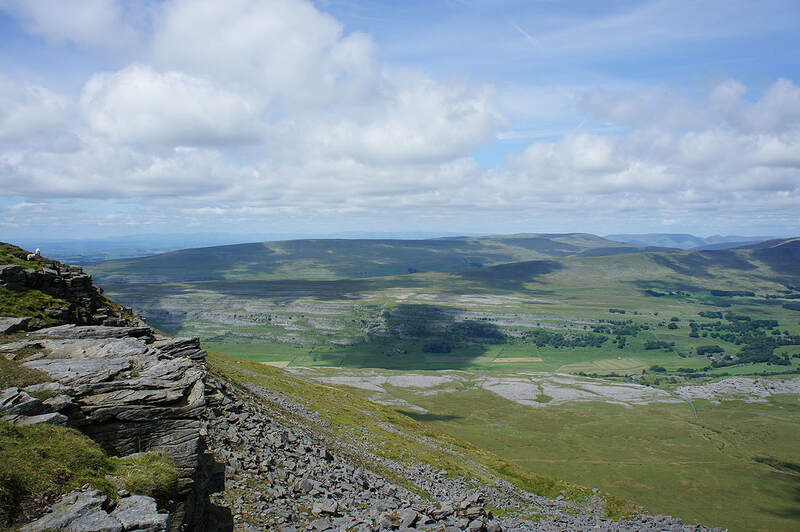 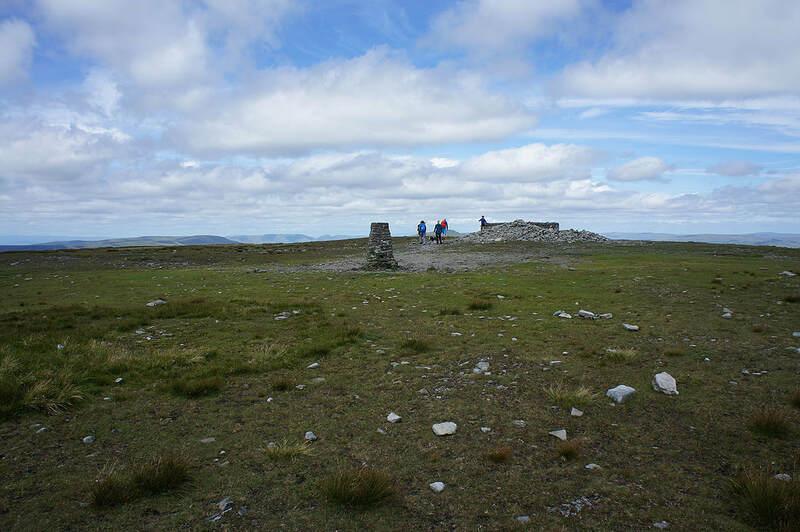 The weather I had was more or less the same as last weekend; blue skies, warm sunshine, great visibility, though with a fresh breeze on the top of Ingleborough. 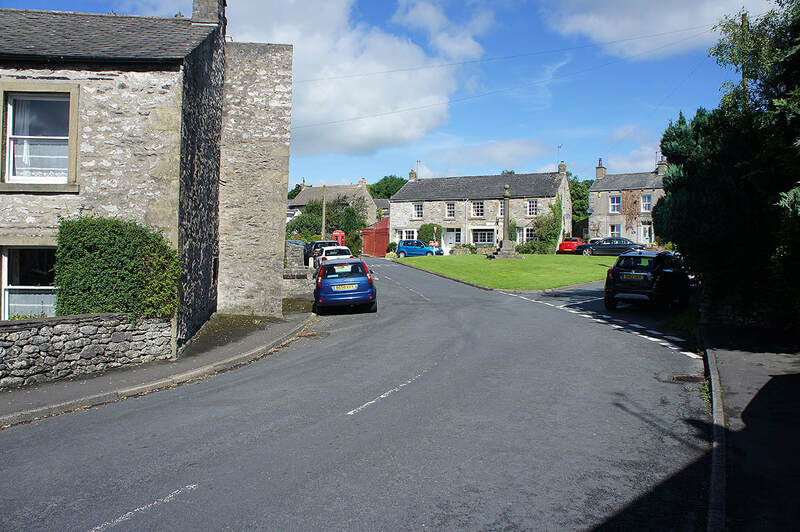 I set off from Austwick by walking through the centre of the village and along the road towards Helwith Bridge before turning left and walking up Crummack Lane through Town Head. 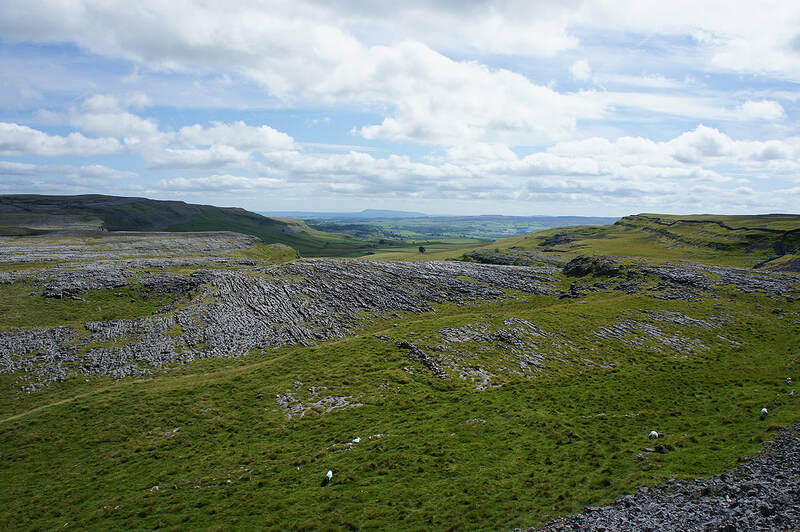 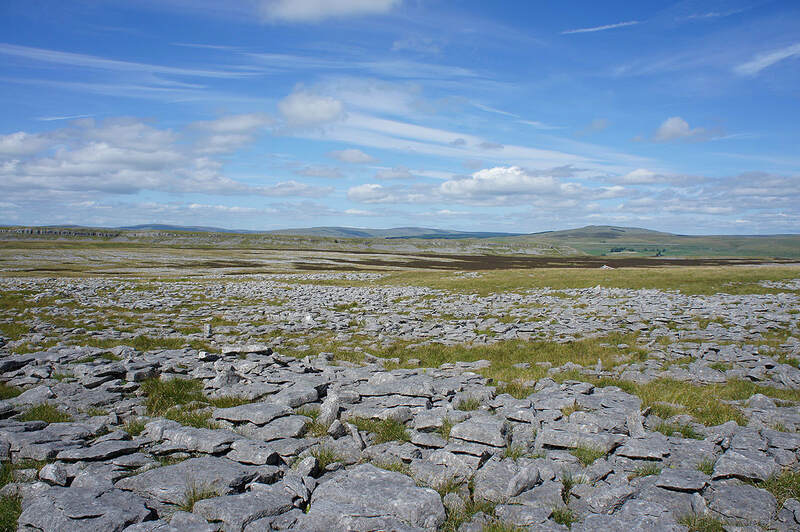 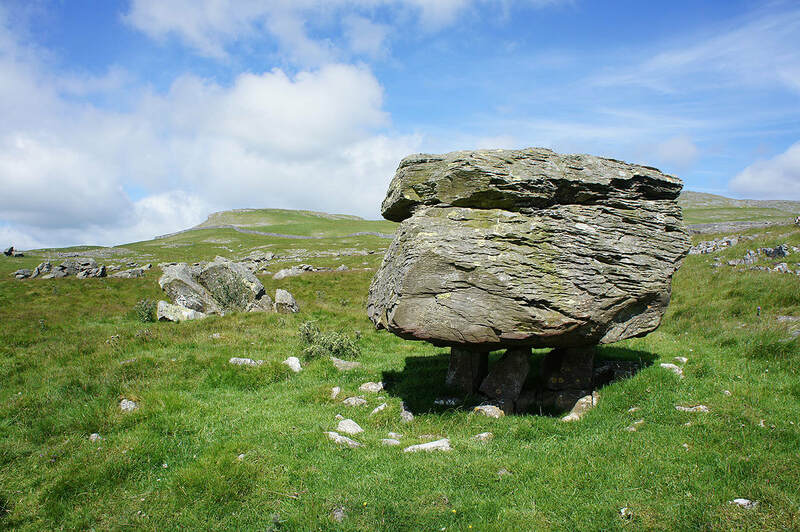 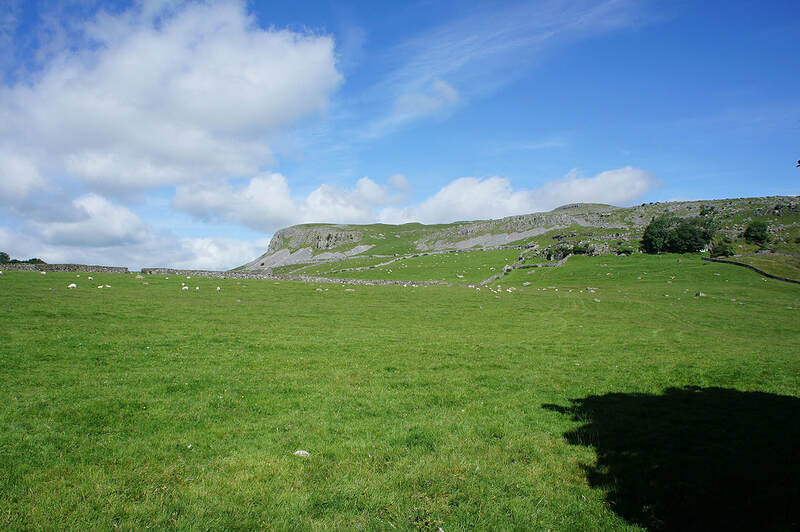 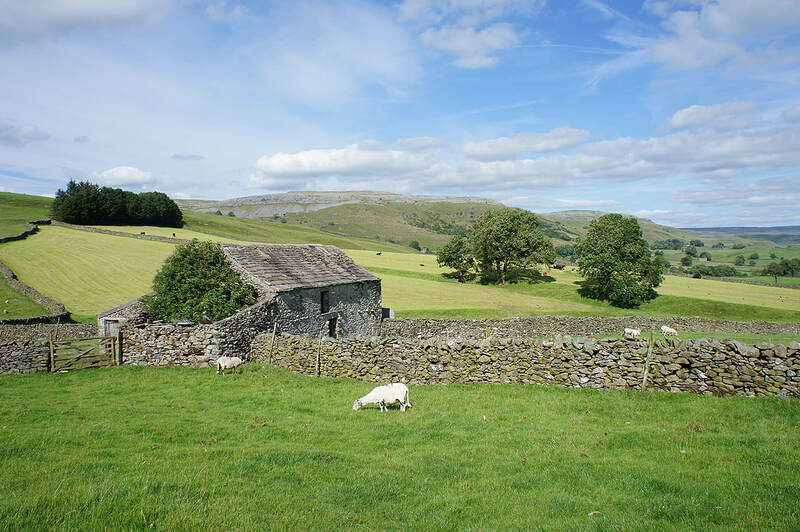 I passed the junction of the Pennine Bridleway and continued uphill to take the footpath on the left up Norber Brow, through the Norber erratics and onto the limestone pavement of Thwaite. 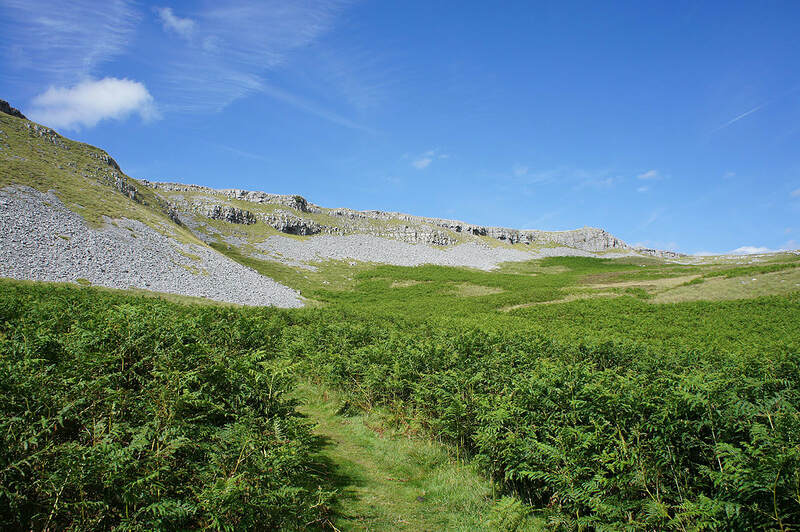 I then crossed Thwaite to pick up the track of Long Lane towards Clapham, which I wasn't on for long, just to reach the path down to and up Trow Gill. 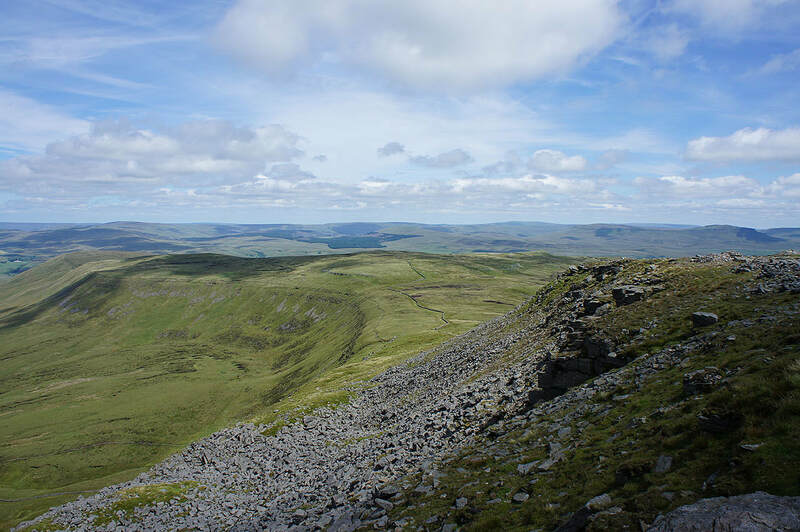 From the top of Trow Gill I then followed the path up Little Ingleborough and to the top of Ingleborough (with a detour to see Gaping Gill first). 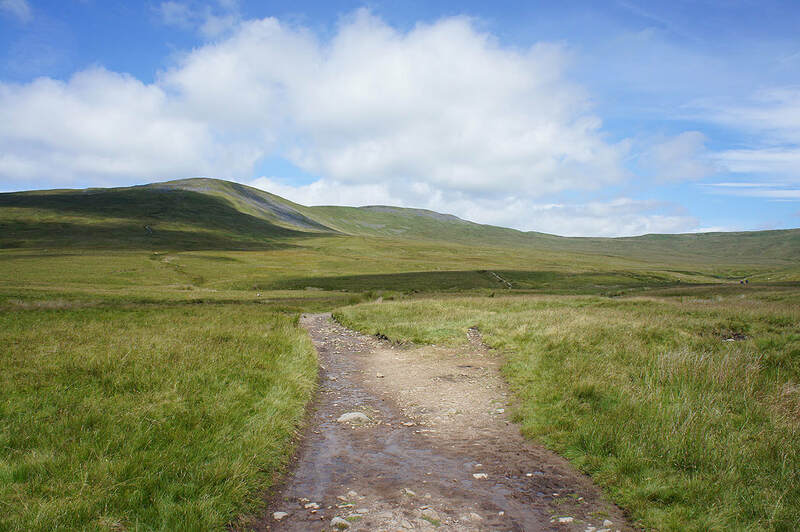 After having lunch on the edge of the plateau I walked round it in an anticlockwise direction and then took the path down Swine Tail. 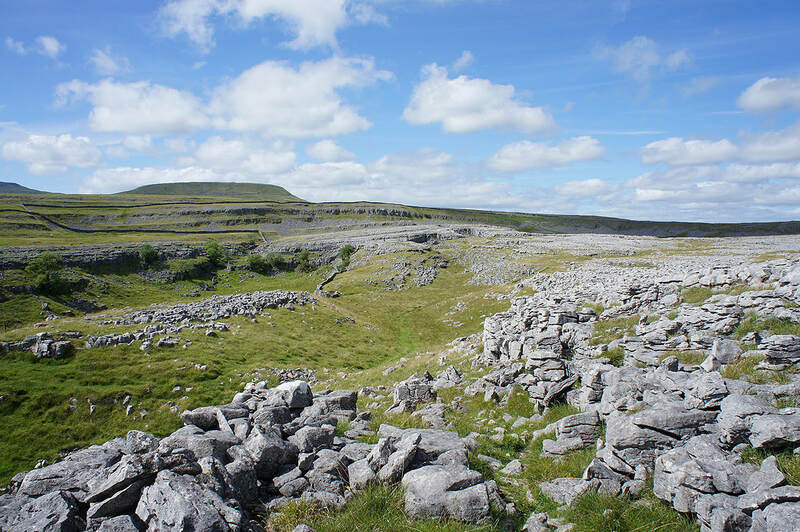 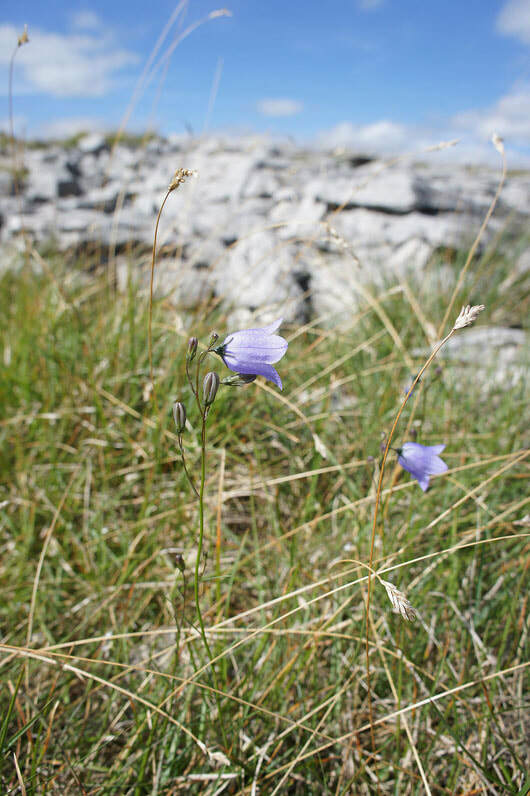 When this forked I took the right hand one down Simon Fell Breast and then across the limestone pavement of Sulber. 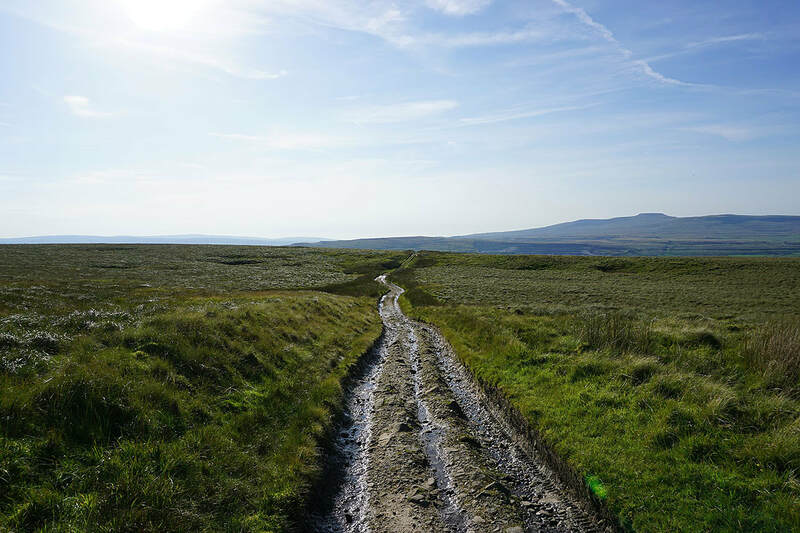 When the path reached the junction with the Pennine Bridleway I turned right and followed this to Sulber Gate. 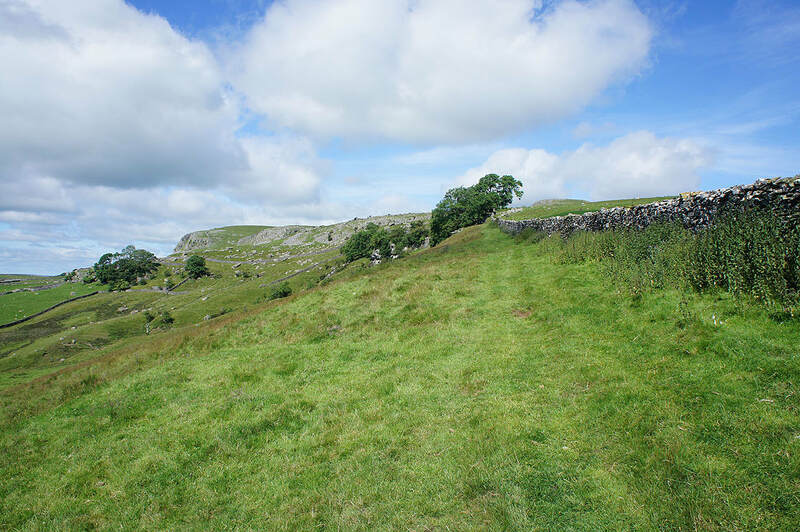 I went through the gate and crossed a stile on the left to take a path across Thieves Moss and then along the edge of Moughton Scars to reach a cairn at the top of the path up from Crummack Dale. 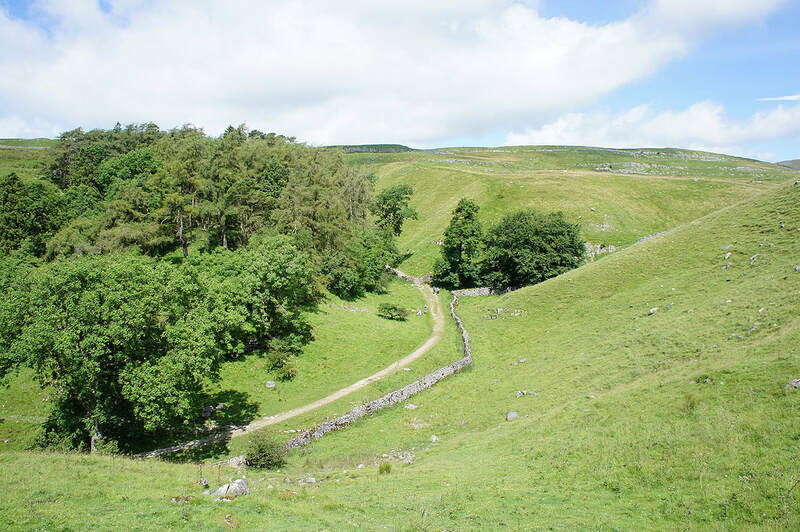 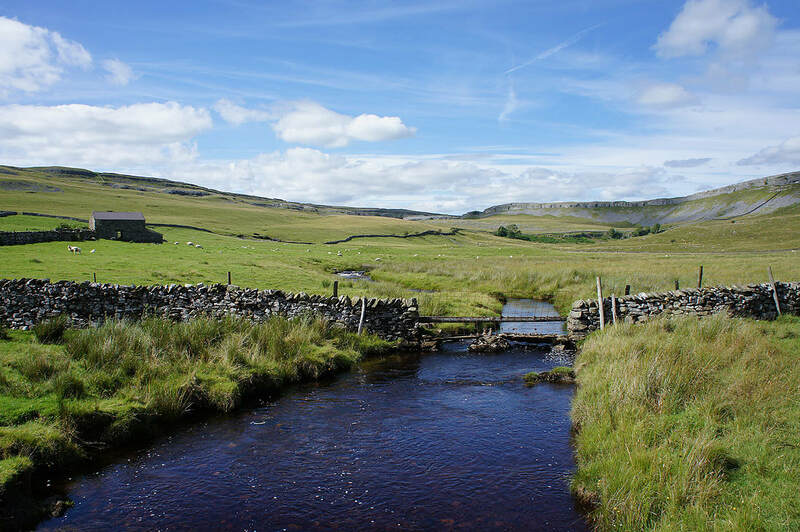 I then followed the path down into Crummack Dale and at a left turn crossed a ladder stile and took the path across Austwick Beck and fields to the bridleway north of Crummack Lane. 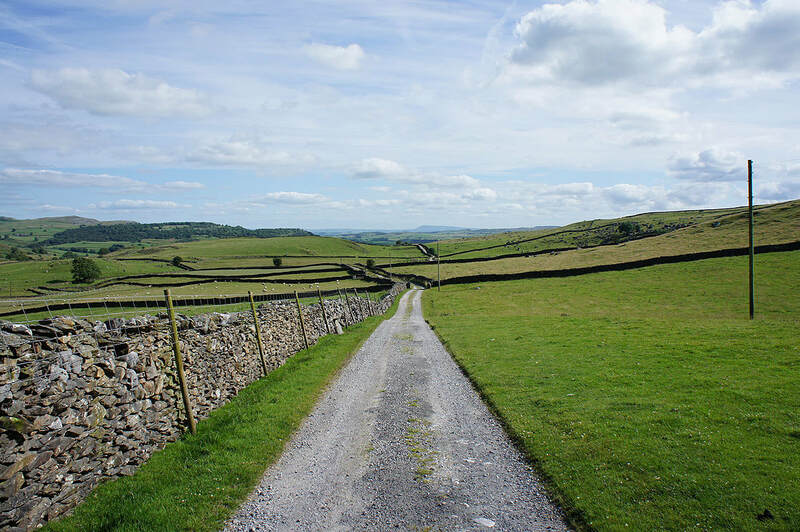 I walked down the bridleway and then Crummack Lane and where it turns right and heads downhill took the footpath down through fields to the track of Thwaite Lane. 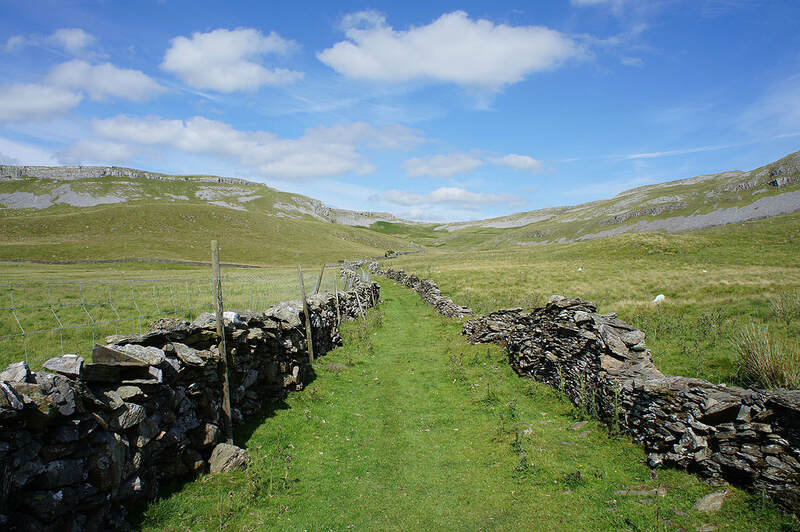 My intention had been to cross the track and continue on the path down to Town Head Farm but a field full of cattle put paid to that, so I finished the walk by walking down Crummack Lane back to Austwick. 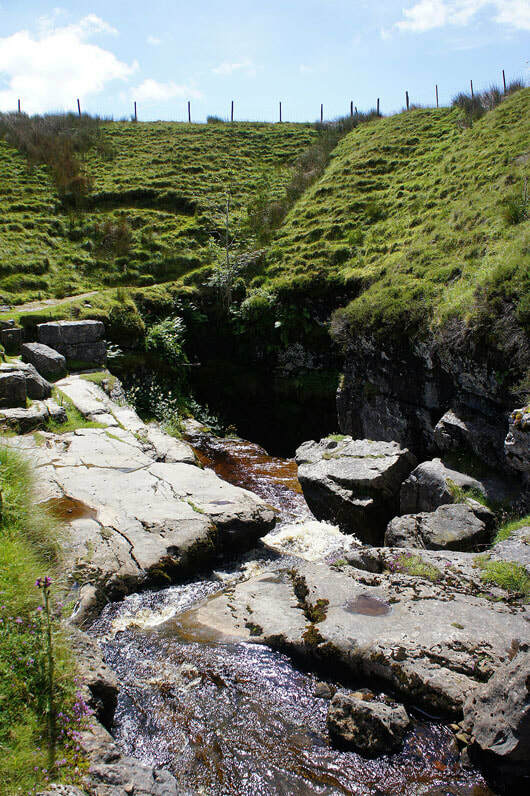 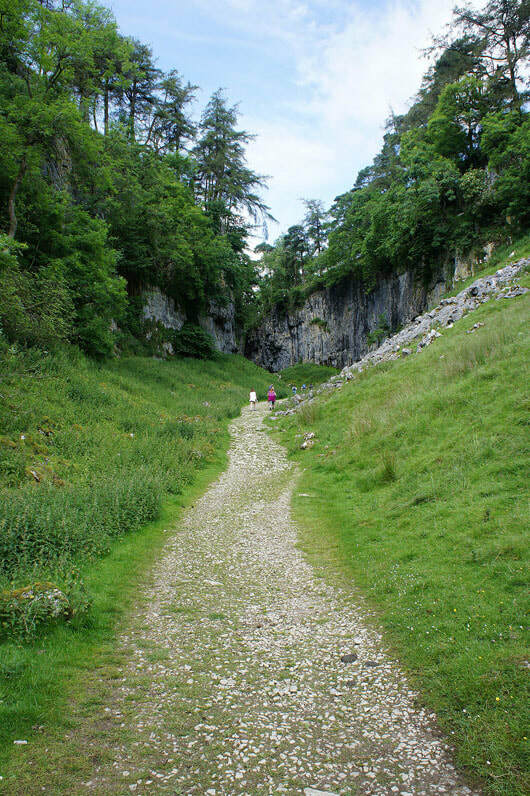 Which I leave for the footpath up Trow Gill..
A photo taken while I was sat having lunch. 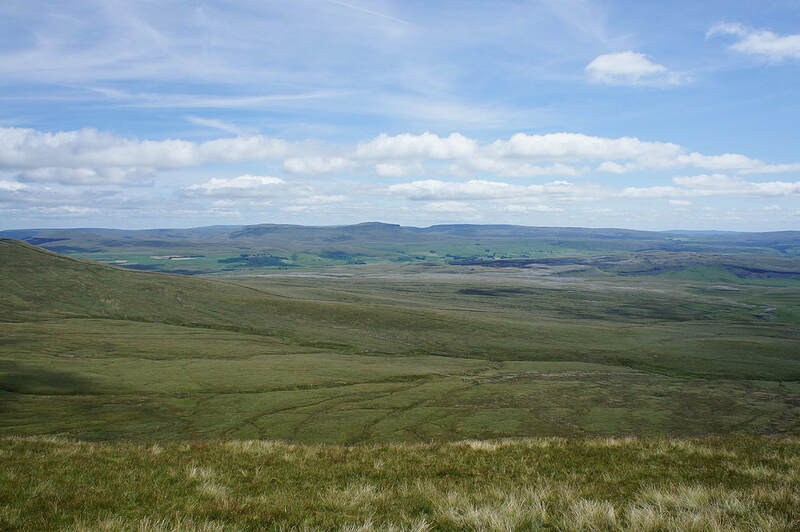 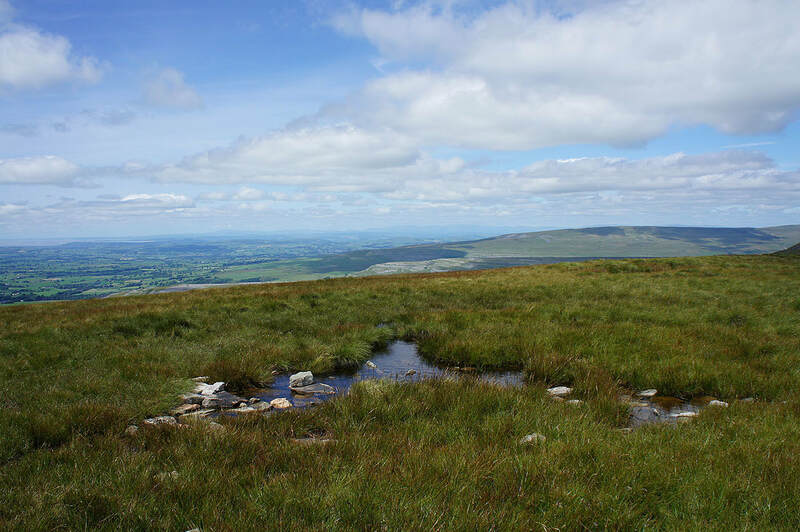 Wild Boar Fell and Great Shunner Fell in the distance beyond Whernside and Blea Moor. 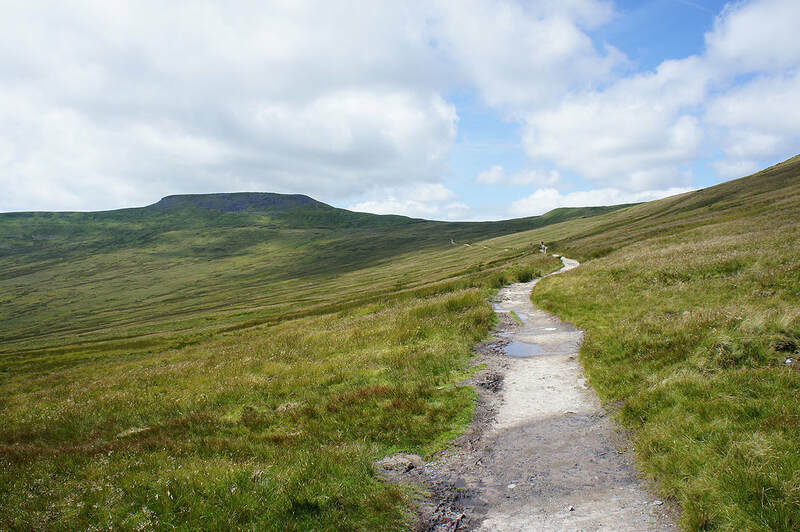 Time to walk round the plateau, in an anticlockwise direction. 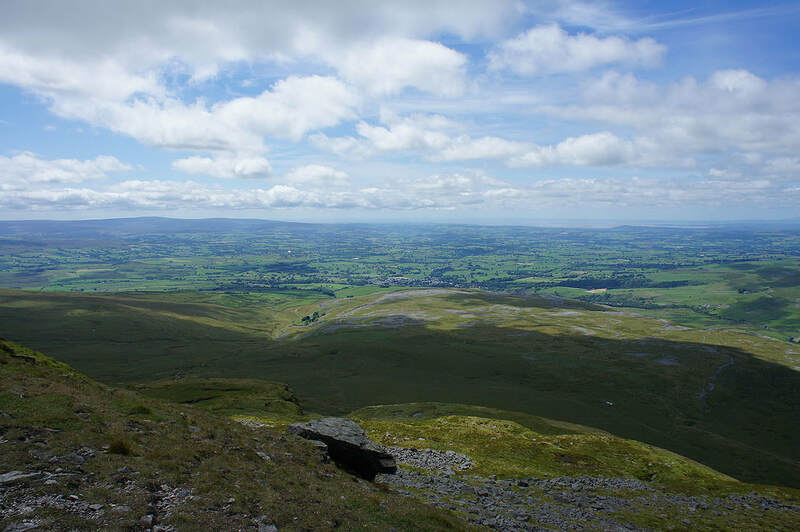 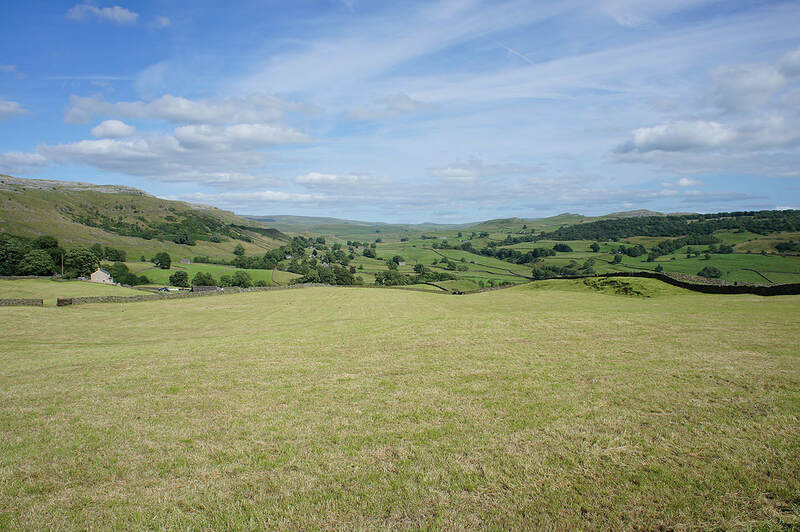 Gragareth and Great Coum beyond Twisleton Scars and West Fell. 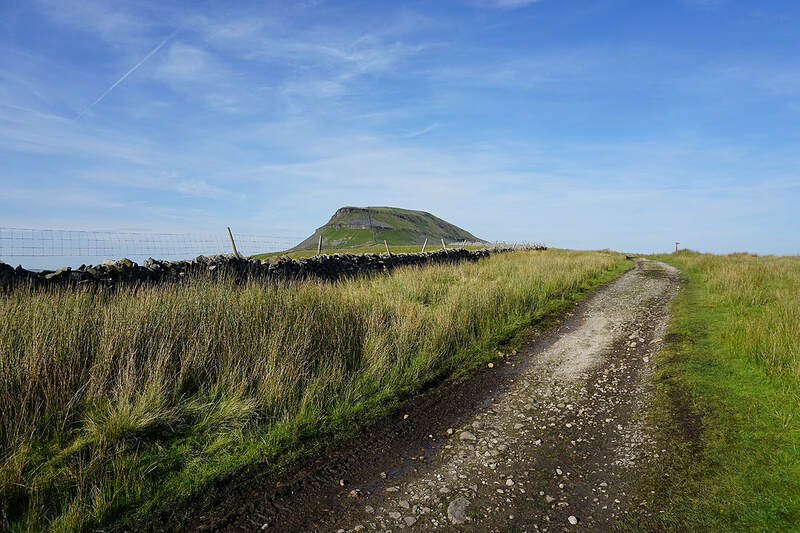 I couldn't resist taking a few more photos across Chapel-le-Dale as I made my way round..
A parting of the ways. 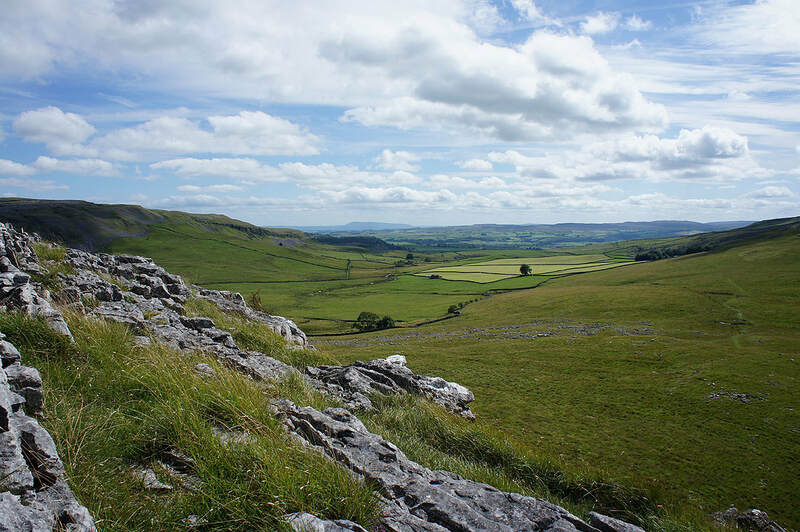 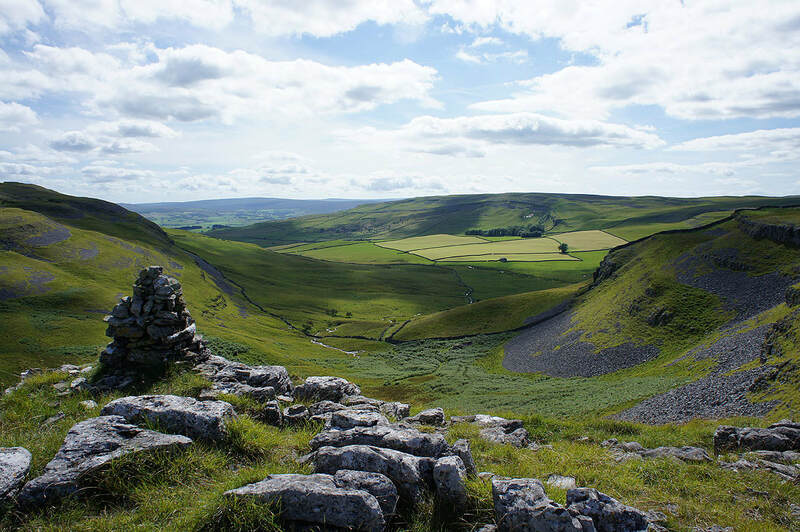 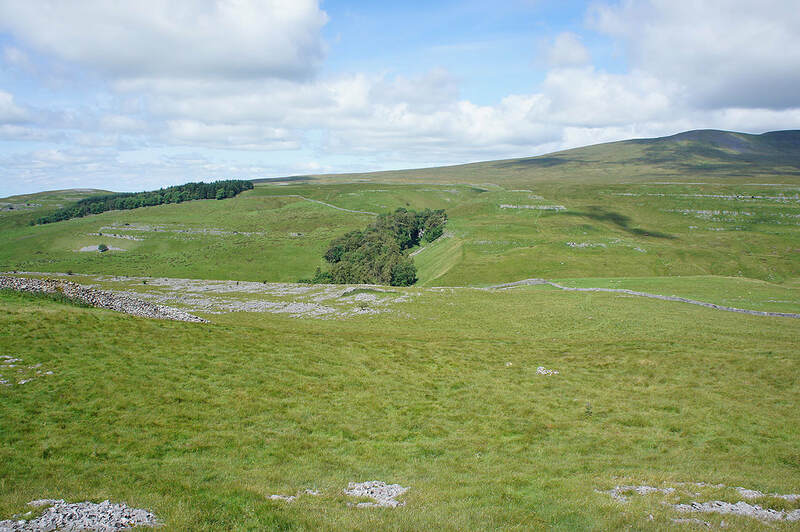 Left for Humphrey Bottom and The Old Hill Inn, right for Horton-in-Ribblesdale, which is my direction. 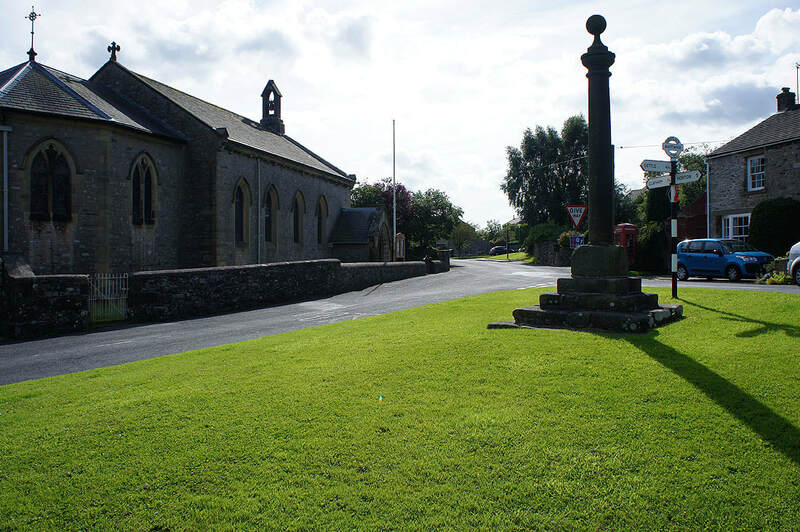 At Sulber Gate. 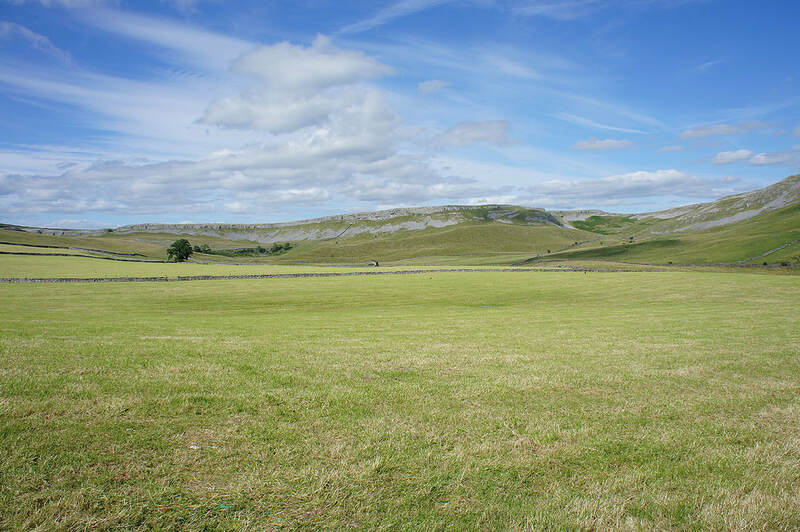 The limestone pavement of Moughton Scars with Pendle Hill in the distance.